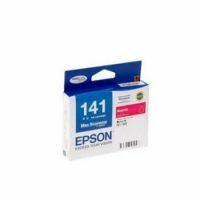 The compatible Epson T1414 ink cartridges give brilliant and clear color prints that satisfy your needs for a low cost and quality ink. 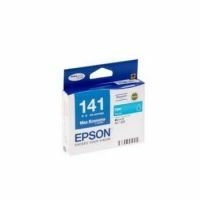 T141490 The compatible Epson T1414 ink cartridges give brilliant and clear color prints that satisfy your needs for a low cost and quality ink. Low price and save money! Our products are low-price not because it is made with cheap materials, but because we know how to save from other areas with our business. Unlike retailers, we don't need to pay for expensive rent, and we pass this saving to our customers! 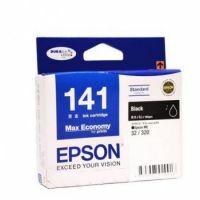 Our Compatible Epson T1414 ink cartridges are manufactured in an ISO-9001 certified factory with high quality standard that meet the performance of the OEM Epson 141 Yellow ink cartridges. To Recieve updates and possible rewards for Epson Epson T1414 Yellow Ink Cartridge please sign in. To Recieve updates and possible rewards for Printer Cartridge, Ink & Toner please sign in.